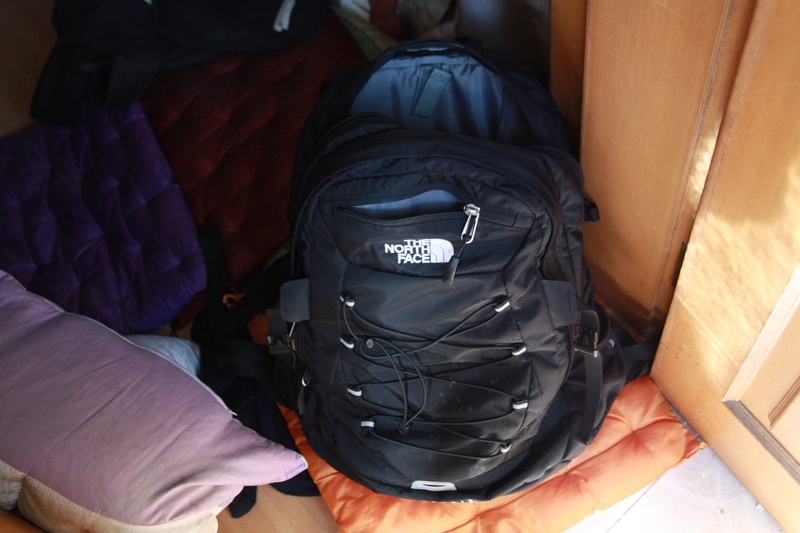 My North Face bag. Try always to buy a good quality bag. This has gone with me to Myanmar, Nepal, and Inner Mongolia. My laptop. The one I’m using right now to write this. I like how compact it is, especially useful when I stick it in my rucksack. The touchscreen does come in handy. And the keyboard (Lenovo make dependably good keyboards) is a good experience to type on. I’m attached to it as a machine — a productivity machine, but in one crucial aspect it is lacking. Its battery life is really bad. It’ll probably be upgraded to a Macbook at some point, even though I do not enjoy Apple keyboards, but they’re much more productive as truly portable laptops. My smartphone. It’s an LG G2. I am very attached to this phone. It just looks so business, especially when paired with a Moleskine notebook. Its dimensions are perfect too. Great to use one-handed, its screen is nevertheless very large, owing to its large screen size to body ratio. It’s a design I like a lot. Unfortunately, however, it will need to be replaced very soon, as the screen is no longer working properly. I bought the phone secondhand in Bangkok about a year or so ago. No new phone is that appealing as so many of them are compromised, something I’ll write about in a future post. It will be a reluctant goodbye when I do get a replacement to this LG. Why I like these things I use so much is because I enjoy using them because their functions suit the uses to which I put them so well. That might sound obvious but much product design, in ways more numerous to list now, do not always justify themselves. In the case of my boots and my watch, they perform their function with style and dependability. The gadgets also, and their utilitarian function are why I like them so. Sometimes it pays to take notice of how you use things, and then make choices accordingly. I bought those boots in a vintage shop in Beijing. I saw them, tried them on, and bought them. I’m afraid I don’t know which style they are. Sorry about that. To be honest, I am not even sure if they are real Redwings! But love ’em all the same. Remember the style of those redwing boots? I can’t seem to find them anywhere and I want them!! !